LEXINGTON, Ky. (May 1, 2018) — University of Kentucky President Eli Capilouto on Tuesday announced that for the next three years, UK will pay tuition for its employees currently taking classes at other Kentucky public institutions. The move is in response to legislation passed by the Kentucky General Assembly that ended a program whereby UK employees could attend other public higher education institutions tuition free. About 1,100 UK employees are taking classes under the program. Ending the tuition waiver program was part of comprehensive higher education legislation adopted by the Kentucky General Assembly in April to provide more flexibility to the institutions on a number of fronts, including the ability to move forward more quickly with projects funded with institutional resources. “We are responding to the continuing educational needs of our employees, the people who every day make this place go.” Capilouto said in remarks Tuesday to the UK Board of Trustees. “That’s what compassionate, thoughtful institutions do — funding a program that is important to a number of people on our campus, who are seeking professional and educational development opportunities." The legislation in no way impacted two existing benefits offered to UK employees — the Employee Education Program and Family Education Program — which are for UK employees and their spouses/partners and dependents taking courses at UK. The tuition program announced by Capilouto will be limited to UK employees already taking classes at other institutions or those who have already applied for a specific program offered at another institution. The program will cover the current benefit — tuition for up to six credit hours per term. The largest number of UK employees taking classes at other institutions — about 75 percent — are UK HealthCare employees. About 200 employees from other institutions, on average, attend classes at UK. By way of comparison, seven institutions in the Southeastern Conference do not provide tuition subsidies for employees to attend other institutions. Of those that do, it is typically limited to schools within a state system. 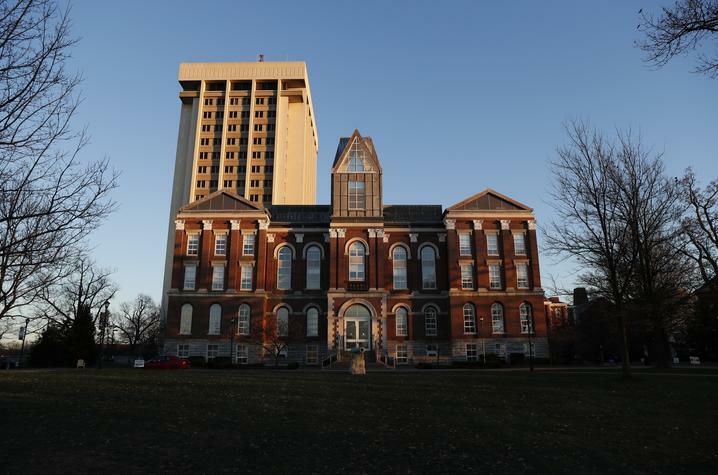 The University of Kentucky is still analyzing the total cost of the three-year program and is in discussions with the other public institutions about partnership agreements, said Eric N. Monday, UK’s executive vice president for finance and administration. In many cases — such as nursing or agricultural extension — certain types of degrees are required as a condition of continuing employment. As a result, departments and units will examine whether it will be necessary to continue the benefit, in some fashion, beyond this three-year period, Monday said. In addition, Capilouto said it must be a priority for UK to expand its offerings in a way that is more convenient for those who are seeking a degree or professional development opportunities.